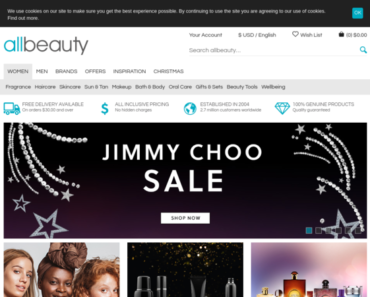 Beauty Expert – 15% off Plus Free Next Day Delivery with Purchases Over 65. Feelunique.com – Get 15% off Purchases of £50+. Indulge Beauty – Flash Sale – 15% off Beauty. LookFantastic UK – 15% off Sitewide Plus a Free Strivectin Intensive Concentrate Gift with £55+ Purchase. Beauty Expert – 15% off Sitewide Plus Receive a Free Omorovicza gift with £65+ Purchase.